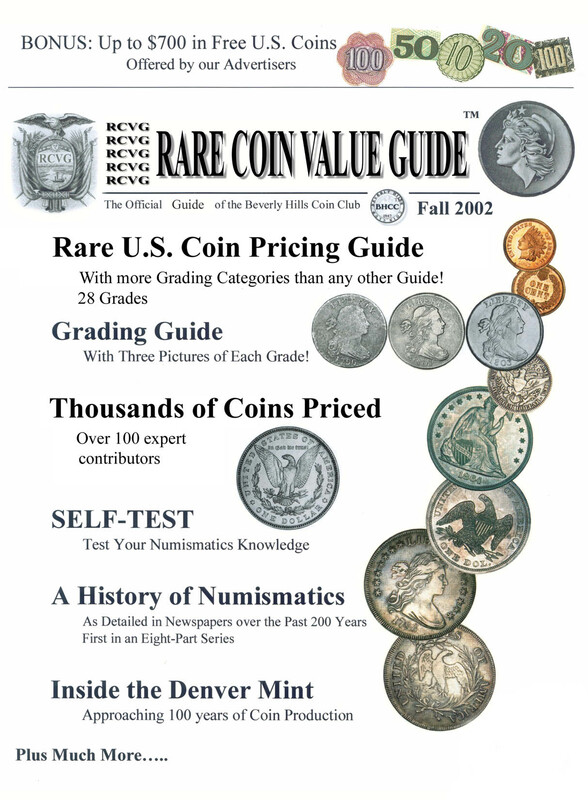 The following is a press release issued by the Beverly Hills Coin Club concerning some exciting news about an important new book, a pricing guide with 35 grading categories and thousands of prices, more than any other price guide on the market. The pre-publication price of the new 2010 edition of "Modern U.S. Coin Values" is only $15 postpaid. Release date is March 1st, 2009, and those who send in their payment between now and December 1st, will receive theirs by December 15th prior to the international release date. Please help us get the word out by posting this article on your site and/or sending to your local newspapers, coin clubs or to your friends who might be interested. We would also appreciate any articles or information for this book as well. For more information about the 1959 Wheat Cent, 1933 Washington Quarters and other coins recently reported, please order the book as detailed below. We cannot send additional information via e-mail as many articles in this book are independently copyrighted by contributing authors. 1933 Washington Quarters & 1959 Wheat Cent reported with other new finds! In their efforts to promote the hobby of numismatics to the general public, the members of the Beverly Hills Coin Club (BHCC) have been busy compiling and editing a new book entitled "Modern U.S. Coin Values". Their new Guide Book details many varieties of coins that people may be able to search for in circulation, flea markets or in coin junk boxes. The book cautions beginners that it is "rare to find extremely valuable coins in circulation, but the experience of searching can be both fun and rewarding". It goes on to note that "the chances of finding coins of considerable value are far greater than winning the lottery" and "that thousands of such coins are found every year by seekers in the know". With the assistance of dozens of numismatist throughout the country, the Beverly Hills Coin Club has formed a Review Committee to compile pricing, mintage and population data pertaining to most modern U.S. coin issues, from 1932 to date. 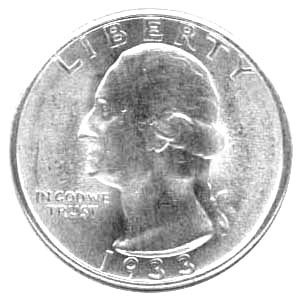 Thus far, members have gathered and confirmed some ground-breaking news pertaining to some scarcely-known varieties, such as a 1959 Wheat Cent substantiated by a Federal Marshall, five 1933 Washington Quarters confirmed by three professional numismatist, and the verification of several 1976-D Eisenhower dollars struck in silver, just to name a few. Although the book details mostly issues from 1932 to date, it features many varieties not found in any other current pricing guide. It also includes up-to-date evaluations of all earlier U.S. type coins, based not only on dealer feedback, but also collector's feedback at shows, auction houses and on the Internet. "One of the best features of the book, is that it gives estimated values in an unprecedented number of grade categories, 35 in total, including all mint state grades from MS 60 to MS 70. Sometimes nearly perfect coins can be had at the bank or even in circulation", Mr. Carter notes. The Beverly Hills Coin Club is currently asking all readers for help in this project. BHCC needs feedback about any and all modern varieties that collectors might be familiar with, regardless of rarity or value, along with estimated values in as many grades possible. Pictures are very much needed also, and could be e-mailed to them at bookproject@bhcoinclub.org or sent to their street address found at www.BHcoinclub.org. Such information should be sent for review by October1st, 2008 for the 2010 edition. Those who submit feedback contributions that can be used by the club's Review Committee, will be listed in the book. The pre-publication price of the new 2010 edition of "Modern U.S. Coin Values" is only $15 postpaid. Release date is March 1st, 2009, and those who send in their payment between now and December 1st, 2008 will receive theirs by December 15th prior to the international release date.